This contribution is modified from a published exercise "Directed Discovery of Crystal Structures Using Ball-and-Stick Models" [Mogk, 1997] . 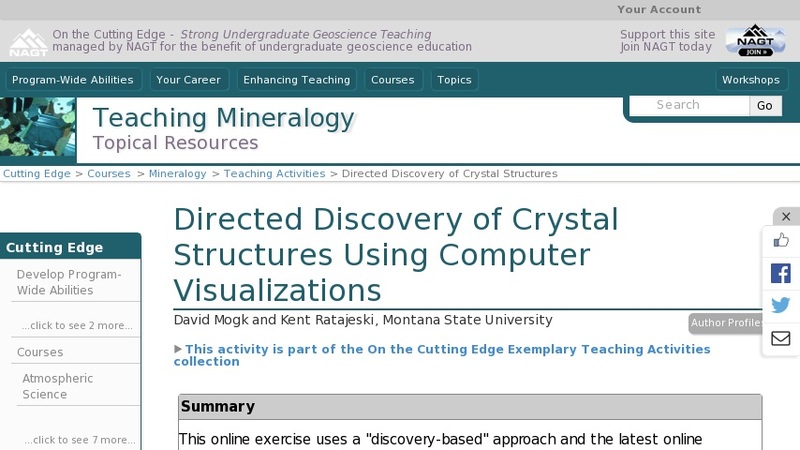 While the published exercise is based on student exploration of traditional ball-and-stick models of crystal structures, this modified version uses a similar "discovery-based" approach and the latest online crystallographic information and visualization software to teach the spatial relationships and crystal-chemical rules that govern the crystal structures of common minerals and crystalline solids. A few changes in the content have been made from the published exercise, mainly to accommodate the new digital media.